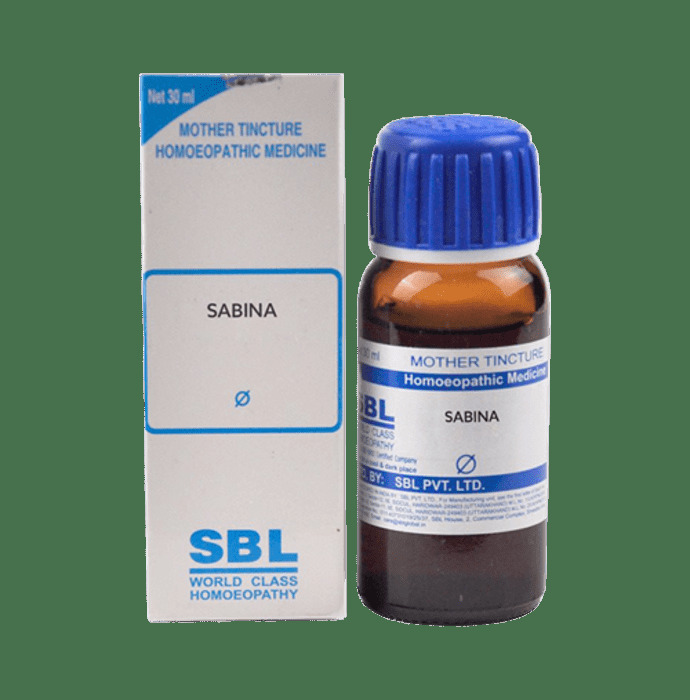 SBL Sabina Mother Tincture Q is a homoeopathic remedy that is is used mainly in case of heavy bleeding. Formulated with natural extracts of shrub it helps in treating heavy bleeding during or in between periods in women. It also helps in relieving condition of heavy bleeding from piles. It is also effective in cases of recurrent miscarriage in the third month. Based on the homoeopathic formulation, it is safe to use. Take 15 drops of Sabina mother tincture in half a cup of normal water twice a day for 6 months or, as directed by the physician. A licensed pharmacy from your nearest location will deliver SBL Sabina Mother Tincture Q. Once the pharmacy accepts your order, the details of the pharmacy will be shared with you. Acceptance of your order is based on the validity of your prescription and the availability of this medicine.